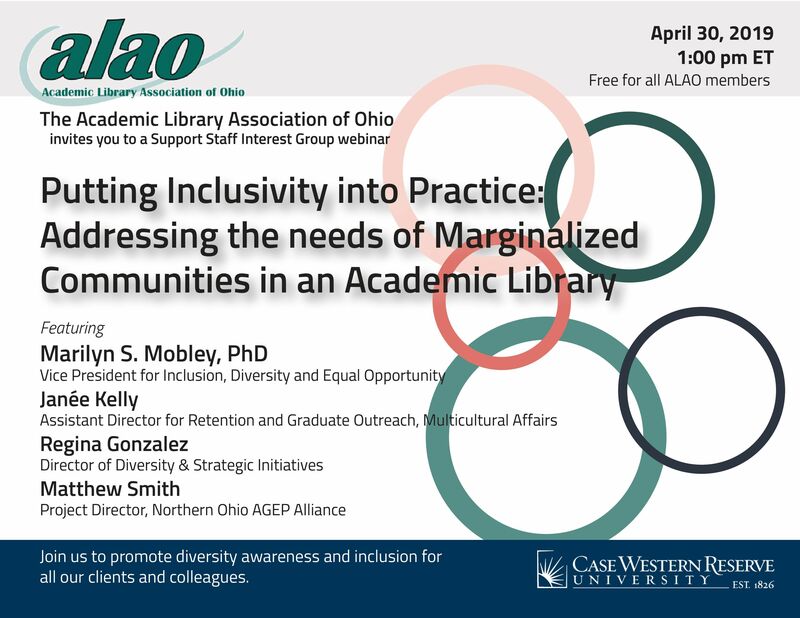 This webinar centers on the question “How can library staff best serve patrons from marginalized communities?” The presentations and the discussion following are intended to promote awareness of hurdles that exist for many patrons in order to foster equity for communities that include racial and ethnic minorities, members of the LGBTQ community, and those with disabilities. Guest speakers will encourage engagement with diversity topics, initiatives, and resources. This information is intended to aid academic library staff in their quest to provide a welcoming environment for all.